This one's for the people who give you more reliable subway directions than HopStop, who can describe to you, in detail, the metro map in any given city, and who want to ride the bus "just because." 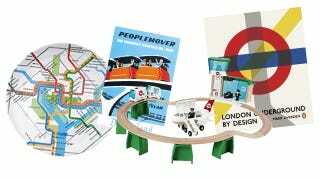 These transportation-themed gifts will fare well for any and all overzealous public transit enthusiasts in your life. Just don't get them started on that new light rail line to the airport. A note explaining why you think it's great.